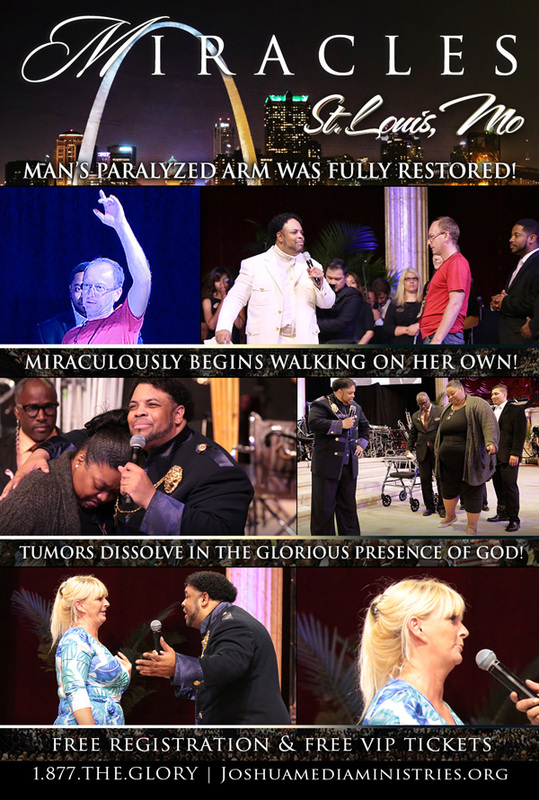 The Miracles in America Crusade Tour with David E. Taylor is coming to Saint Louis, Missouri! Receive the Miracle that God has for you! Jesus Heals Today! 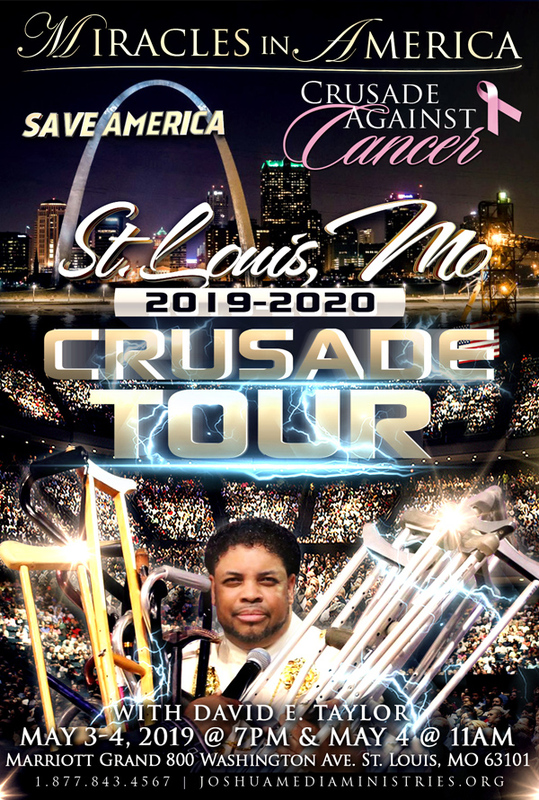 The Miracles in America Crusade Tour with David E. Taylor is coming to Saint Louis, Missouri! Receive the Miracle that God has for you! Jesus Heals Today! You do not have to die from any sickness or disease! * The Transforming Presence of God! * Face to Face Appearances from Jesus! * God’s Power & Glory! * Regional Deliverance from Demonic Oppression! * An Awakening to Who You Really Are in God’s Kingdom! It is time to gather and seek God’s face to preserve and save the destiny of the nation! May 32019 at 7pm & May 4, 2019 at 11am and 7pm. Registration & Seats are Free! Call 1-877-The-Glory (843-4567) for your FREE VIP tickets today!